How to mine at GHash.io multipool pro? The Multipool Pro from Ghash.IO is a scrypt mining pool that allows miners to always mine the most profitable coins on the market. Because of Ghash.IO’s partnership with CEX.IO, coins can also be sold on the open market soon after they have been mined in the pool. As of this moment, users of the Multipool Pro are able to switch between mining LTC, DOGE, FTC, AUR, MEC, WDC, DGB, SXC, 42 and CAT. One of the main features of this new mining pool is the ability to convert all of these scrypt coins into BTC or LTC after they have been mined. Miners also have the ability of dropping the current job on the spot when it’s time to switch between coins. Although users of CEX.IO understand that it’s rather easy to join Ghash.IO’s SHA-256 mining pool, you still need your own hardware to mine on the Multipool Pro at this point of time. This could change in the nearest future, but there is currently no form of cloud mining available for this pool. If you already have a CEX.IO account, then you’ll already be able to login to Ghash.IO with the same account credentials. If not, you can create your account on Ghash.IO when you visit the site for the first time. Once you have your Ghash.IO account, you will then need to setup your personal mining hardware on the Ghash.IO Multipool Pro. The stratum server for this pool is multi.ghash.io. Once your miner is activated and pointed towards the Multipool Pro, you should notice litecoins, dogecoins, and other cryptocurrencies stacking up in your account based on your share of the overall block rewards. The Multipool Pro operates according to the proportional reward system: when a block is found, the reward is distributed among all workers proportionally to how many shares each of them obtained. 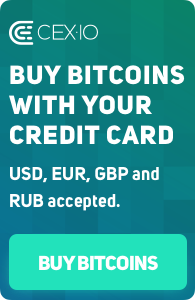 It’s also important to note that you can also setup automatic withdrawals if you would like to instantly transfer your funds to a local wallet. As you can see, it is also possible to configure the miner to drop the current job when switching coins. When enabled, stratum server tells your miner to cancel/drop all current mining jobs and start mining new coin on coin switch. This may lead to high stale shares rate, but the most profitable coin starts mining immediately. Such simple, though significant features make our Multipool professional, and at the same time, understandable for both advanced users and beginners. In addition to the above mentioned features and advantages, this pool also comes with no fees. This means you don’t need to worry about Ghash.IO taking their own cut of your rightfully earned mining rewards whenever a new block is found by the pool. Ghash.IO is able to offer the lowest fees in the industry due to their partnership with CEX.IO. After mining cryptocurrencies on their pools, you can instantly trade or withdraw the coins on the CEX.IO platform. If you still have any questions on using GHash.IO Multipool Pro, visit the respective topic on our forum or address to support@cex.io. Join GHash.IO Multipool Pro now!